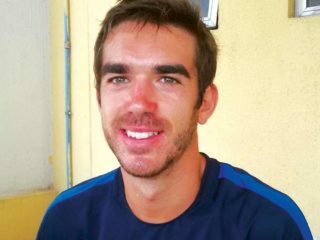 The students of FCBESCOLA Academy in Lagos are looking good to start the second term 2017/2018 season after the yuletide break, the academy’s Technical Director, Bernat Villa, has assured. FC Barcelona is one of the teams known for its productive academy, the La Masia, which has given the world Lionel Messi, Gerard Pique, Cesc Fabregas, Iniesta, Xavi, Busquets and Pedro, among others. 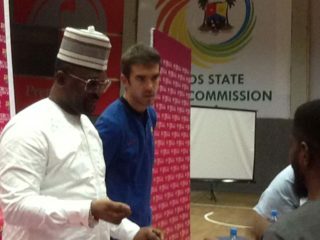 Blaugrana Group International has entered a partnership with WhiteHouse Group to create platforms in various areas of human development, including bringing over 1000 youths from the grassroots to showcase and also win prizes with their talents. 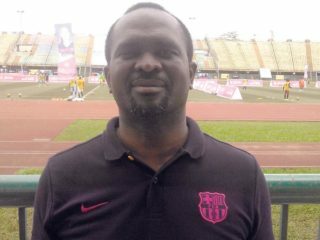 The Chief Executive Officer of Blaugrana Sports International, and licensed operator of FCBESCOLA Lagos, Mr. Leslie Oghomienor has promised that the academy, which is operating at the Teslim Balogun Stadium, will propel students to success in their football career as well as in their lives. FCBESCOLA Soccer School Academy, Lagos is offering a lifetime opportunity for the best young footballers available nationwide in a new elite scholarship programme. 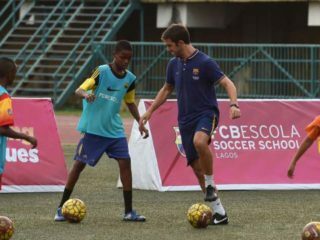 To improve the game of soccer and develop the array of talents that abound in Nigeria, Barcelona Football Club, Spain has shown its determination to take football to another level in the continent through its academy -FCBESCOLA. The idea of FCBESCOLA Soccer School was started, when we thought about the immense talents that our country is blessed with. We then looked for an avenue through which these talents could be harnessed and our conclusion was that the Barcelona’s youth programme would be an ideal programme.